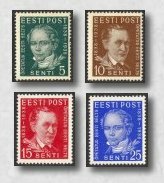 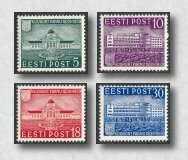 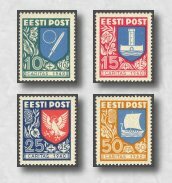 There are quite a lot of forgeries of Estonian stamps on the market. 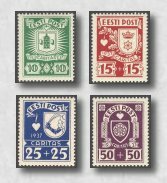 (Read more about the background here!) 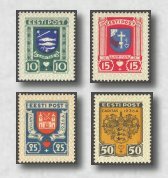 Most of the forgeries are of cheaper stamps and have not received much interest in philatelic litterature. 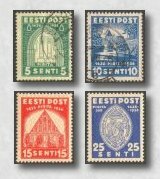 The quality of the forgeries is sometimes rather poor, but many of them are still difficult to detect without knowing which criteria to look for. 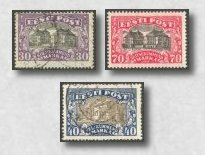 Often, one can quite easily identify a forgery from known criteria, but it can be a bigger problem to decide which stamps are truly genuine. 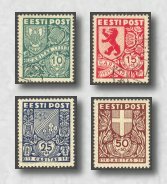 This is especially true with many of the early Estonian issues, since the originals from this period sometimes have an even poorer printing quality than the forgeries. 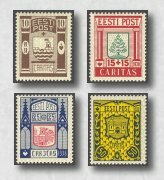 In this gallery I have listed all Estonian issues before 1945, both those with know forgeries and those WITHOUT. 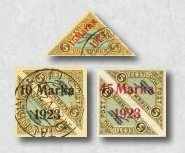 Based on my own collection of forgeries, I will explain how to identify these. 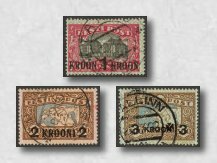 At present, this gallery mostly shows forgeries made by the notorious Jaan Lubi of Viljandi, while most of the air mail forgeries are the works of the Simson-Kull organization. 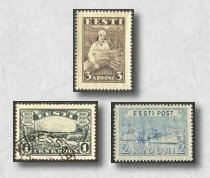 Due to their frequent appearance in internet auctions, I have also added a brief gallery of the primitive fake air mail covers made by Victor Salemann of Reval. 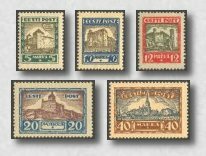 - 4 different plate types of Jaan Lubi forgeries of #15 shown!